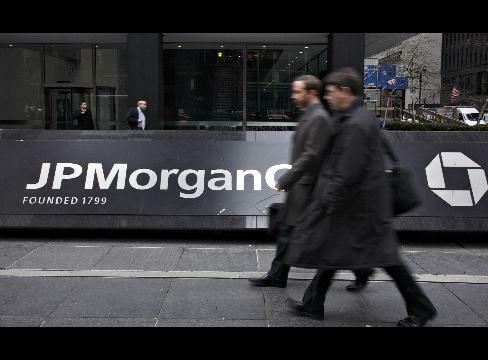 NEW YORK, January 23 -- JPMorgan Chase is moving to closed down dozens of the Washington Mutual bank branches the government allowed it to acquire last year with no public notice or comment period. In Dallas, Chase has targeted 23 WaMu branches for closure, and another six in Fort Worth. In the Chicago area, Chase says it will shutter 57 WaMu locations. More branch closings will follow across the nation. Community and consumers groups are belated protesting the acquisition, which was a one of a slew of so-called emergency transactions on which no Community Reinvestment Act comments were considered, including the accession of Goldman Sachs and Morgan Stanley to bank holding company status, and Bank of America's now discredited acquisition of Merrill Lynch. JPMorgan Chase benefited from regulator-protected acquisitions not only of WaMu but, before that, of Bear Stearns. As first reported by Inner City Press, Bronx-based Fair Finance Watch submitted to the Federal Reserve Board comments on these transactions, but was told that emergency did not allow consideration of the issues raised, including prospective branches closings. JPMorgan Chase has now told groups who have asked if it will continue Washington Mutual's CRA programs and commitments that since there is no more Washington Mutual, there is no more commitment. This comes in the wake of JPMorgan Chase's Jaime Dimon reversing himself from a stated commitment to mortgages through brokers to abruptly shutting down Chase's wholesale mortgage unit. While groups are told this will give Chase more control over the terms of loans, brokers point out that Chase ultimately had control in the wholesale business, too. Commitments are made to be broken, apparently, particularly those by companies the federal regulators bailed out or merged out of existence. What, the question grows, is Timothy Geithner's position on this Main Street issue?